You are here: Home/Giveaways/CLOSED Giveaway: We Choose Virtues Homeschool Kit ~ $99.99 Value!! CLOSED Giveaway: We Choose Virtues Homeschool Kit ~ $99.99 Value!! Congratulations to our winner ~ Jessica Andrews! 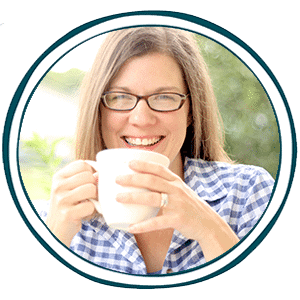 I am super excited to offer the “We Choose Virtues” Homeschool Kit to one of our subscribers! If you blog hop the homeschooling websites, then you have likely seen and heard all of the buzz about “We Choose Virtues”! I was SO excited when I received my kit in the mail! I have a two year old who…well, let’s just say she could use some more character training! Let’s be honest, instilling virtues in kids is hard work. But can it be fun too? We think so. In fact, there’s no better way to learn. So We Choose Virtuesbrings memorable catchphrases, endearing characters, and just plain fun to simply inspire character that lasts. It’s the best choice you can make for the kids in your life. What’s in the HOME SCHOOL KIT? Well, for starters, it is the BIG package valued at $99.99! This kit is especially assembled with all the things a Home School needs to teach 12 Virtues. The Parenting Cards included in this set were created to help you inspire and demonstrate these Virtues and turn your home into a place where Virtue is valued in both attitudes and actions! The Parenting Cards and Virtue Flash Cards include scriptures from the NIrV Bible. The Teacher’s Handbook and Coloring Book are included at no additional cost as downloads! are our TOP PICK for homeschool and “family time”. Here are some coupon codes (These are limited to one per order). HOMESCHOOL25 for 25% off the Homeschool Kit in March. 5 per person! Winners drawn on 3-2-11.